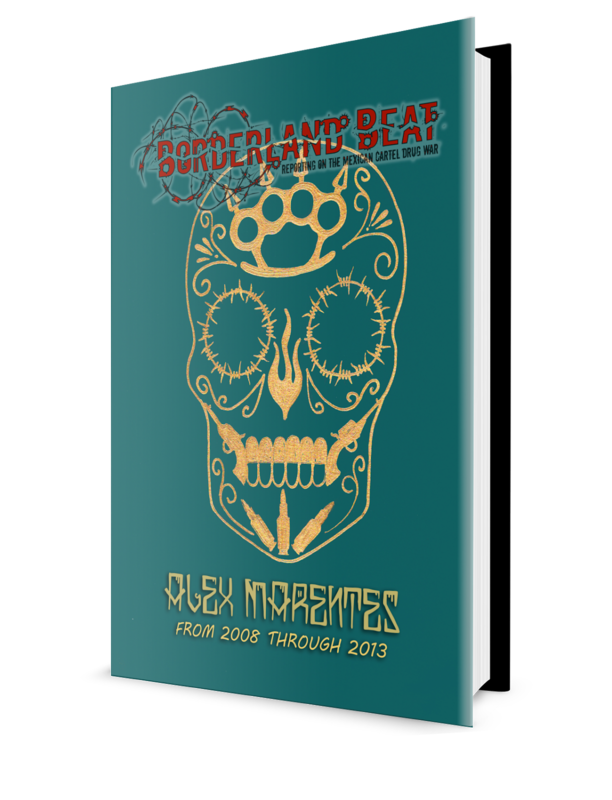 Note: This may not be a particularly enticing piece to most of you, but it is of highly personal interest to me. I have been following Colorado River Water issues for decades. This peculiar area of northern Baja, Ca is full of small Indigenous Ejidos and the water theft issue is as interesting to me as is the odd cultural aspect of this corner of BC. This is a Zeta Investigative piece. See most interesting link at end. Sadly, as most things Mexican , even water distribution is corrupted. 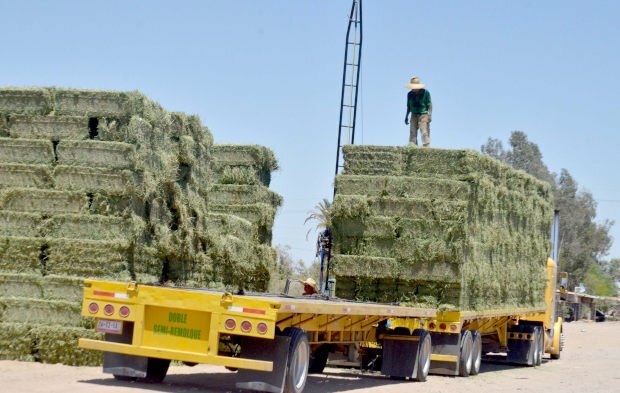 Dozens of ranches, construction companies and farmers are responsible for the loss of almost 2% of the water that reaches Baja California, with the complicity of authorities and the Irrigation District. On the morning of September 15, 2018, a dozen water pipes were installed next to Canal 27 de Enero. Immediately a small pump was placed and began to fill each of the water trucks with 10,000 liters of the vital liquid. According to an official of the National Water Commission (Conagua), who preferred to omit his name, the trucks belonged to several companies located in Ejido Cuervos. The ag production was for export and they were occupied irrigating the roads in order to prevent the rise of soil and feces. The same source indicated that they had to "run" them from the area, as they did not have permission to use the water. 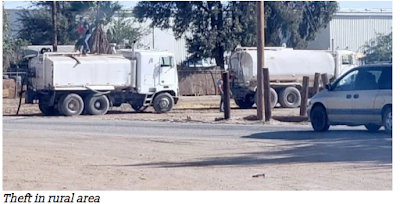 Finally, between September 16 and 17, the pipes began to load water at the Number 1 plant of the Public Services Commission of Mexicali (CESPM), located in Colonia Cinco de Mayo, however, a supervisor evicted them, since they were pulling out so much water. On September 20, they moved to the Cuervos Valley subdivision, where they connected to a hydrant and began to withdraw water from 8am until 5pm in the afternoon. "There were 52 water pipes," said a resident of the area, adding that one of the trucks had the logos of "El Toro" , a company located on the outskirts of the city that exports its products. 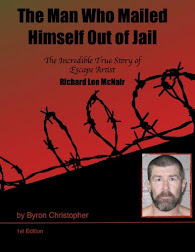 According to the interviewee, the next day more units were connected to another hydrant located in front of the station # 2 of the CESPM, but they left when they noticed they were being recorded with cell phones, even one of the carriers "attacked" him, bathing him with water that they were subtracting. Before the uproar that appeared in the small community, the pipes began to fill inside the #2 facility of the CESPM. Questioned about the incident, a spokesman of the institution commented that the pipes were allowed to fill water in the hydrants, since there was no connector to do it in the main plant, but with the entry of Javier Orduño as the director of the CESPM , it was decided to install the connections in the Commission's facilities. According to the spokesman, an agreement was reached, so the pipes fill with water treated and they are charged in bulk by what is consumed, since the plant has a measurement system to deliver the requested volume. In the opinion of Jesus Carmelo Gallego, president of the Commissariat of Ejido Tabasco, "ant stealing" , ie constant stealing symbolizes up to 2 % of the supply that reaches the Irrigation District and could represent up to 108,000 cubic meters. He added that the same amount assigned to Module 5 would represent water to grow up to 8,500 hectares. Gallego explained that the "ant" or constant theft is generated by the construction industry and the one that makes bottled water also, and in a lesser proportion, other companies that use it to wash stone and gravel for construction. Belonging to the Irrigation Module Number 5, for a month and a half in the Canal Independencia 15 pipes were found contracted by construction companies with a capacity of 30,000 to 35,000 liters that are extracted during each day. "It is an exorbitant amount of water, the worst of the matter is that this water has an owner, I know that those pipes are not filled with water for farmers," the ejido commissioner added. The water is for agricultural use, so it is denounced that there is corruption among the leaders of the modules, but both the Irrigation District and the Conagua have responsibility to a greater or lesser extent. "That lapse of time that these 15 pipes were filled, ranging from 30,000 to 35,000 liters, lasted more than a month, imagine the amount of water that was extracted in critical times where water levels were low, unfortunately it is something that Conagua does not want to understand, " he said. Through one of its spokespersons, Conagua clarified that they are not responsible for the issue of water theft, since the hydraulic system is a concession to the Irrigation Modules through District 14 of the Colorado River (known as an LLC). ZETA questioned the representative of the Irrigation District Commission 14, Luis Barrera, who says, the theft of water is totally controlled and monitored by each of the users of the 22 Irrigation Modules. "What you see is that pipes are installed and water is extracted, but there is a control of industrial use or auxiliary use where the Modules are responsible for charging these companies for what they extract to fill their pipes, what they do with them is another situation " he explained. The companies that subtract water are regulated by the Irrigation Modules in their hydraulic jurisdiction, and when a user is denounced for using a pipe and taking water, they go to them and negotiate with them to comply and pay, but they are not denied water. The problem is in the larger network, where the "ranchitos " connect their hoses - the so-called "chorizos " - and extract water for their plants or gardens. "The District of Irrigation has a commitment of 30 million cubic meters for domestic rural service, for rural communities, they are supplied with that endowment," Barrera revealed and, although there is control, " there may be poaching in some way". 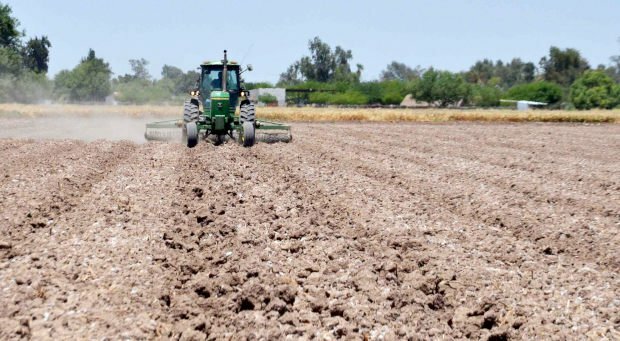 Without giving figures, the representative of the Irrigation Commission said that the theft belongs to each of the 22 modules that exist in the Valley of Mexicali and San Luis Río Colorado, Sonora. In total 10 % of the water is lost in the pipeline that goes from the Morelos Dam to the end of the main canals (around 27 kilometers) Independence, Revolution and Reform, the backbone of the Irrigation District. In total, District 014 has 1,850 million cubic meters. 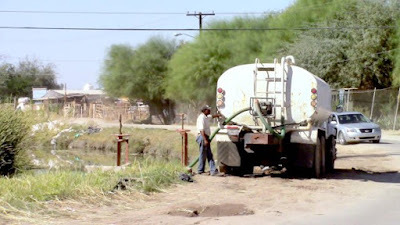 The representative of the Peasant Defense Front in Mexicali, Francisco Porras Medrano, said that "everyone has seen" how they steal water in the Valley of Mexicali and no authority has acted upon it. "It is a very sensitive issue and one of great concern, the problem of all the peasants and the entire population is water, we have asked for transparency in the water management of the distribution bodies and the truth is that we have many doubts, we have always asked that give us a relationship of water users at the State level for agriculture, industry and the city, " lamented the agronomist. Similarly, he noted that some entrepreneurs who handle washed sand and gravel, in addition to the construction companies that " hang extraction hoses " into the channels, resulting in a "poaching " of the liquid. "There are other horticulturists who also need to irrigate their crops, especially when it is sown so that the seed sprouts, since sprouting time doesn't support the stress of lack of water, so they have to be watering continuously and sometimes there is no capacity to give them water, so they use 16-inch diameter pipe pumps. We all see them and they seem very comfortable with their watering, that must have an arrangement by the competent authority, " reproached the farmer. Porras believes that the authority does not want to enter the issues, for it should be matters between individuals, in this case the Irrigation Module and companies, so there is no record that this water is accounted for. During the last cycle of cotton, many farmers did not reach the full development of the plants, so the cocoon did not occur as it should, resulting in low production and therefore a problem due to lack of irrrigation. "I doubt this accusation, because for most cotton producers there was no water, where was it? where did that water go? All these faked waterings, the water plants were stressed with the heat waves we had this year, What , did they sell the water to the gringos through Act 319 or 322? ", Posed Porras Medrano by way of answer. 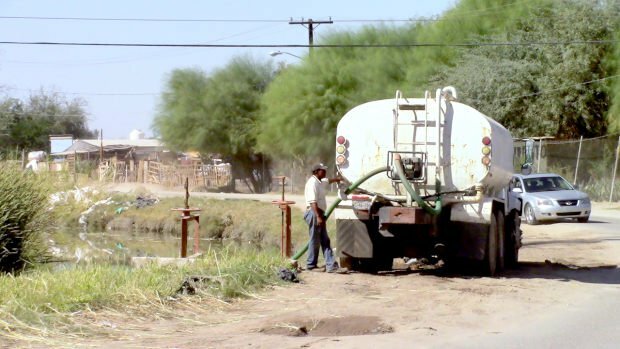 The representative of the Peasant Defense Front in Mexicali indicated that the modules do not want to get into trouble, so they do not denounce the practice of water theft. "It has been our turn when they are making roads, we go and stick the hoses to the canals and draw water, for the Module 2 area there are companies that give water to the "areneras" (sand and gravel washers) , but they never disclose the contracts with these companies," he said. Has to be cjng, but then again cds steal fuel too. Who knows, both cartels operate there. Thanks for the info. I just got back from the area and all I know is in some Ejidio the water districts are trying to take over. you are very welcome. I wasn't sure anyone would read this at all ! Pipe pronounced "pipa", translate to water truck. Historically, When people cant get water to "live" on they get desperate and can literally go crazy or highly unpredictable. If denied water for a time, poor humans will probably migrate to place where there is water and cause problems there. Extremes of frustration and anger will follow wherever people are hungry or thirsty. Serious health issues are guaranteed to follow in the wake of water shortages. In time the anger and health issues will cause social dislocations that are unpredictable as to their consequences. Another ugly thought: What will be the consequences when farmers can't grow food for people or their animals? Mexico has a history of serious droughts ... like the ones that destroyed the high Mayan Civilizations. Could Mexico be on the edge of calamity triggered by water shortages spreading beyond the boundaries in the article? How will the rich , powerful, and criminal elements adjust to the chronic lack of water in the region? Anyone have ideas on these questions? Please share them here. Yaqui: Great article that is indirectly related to the usual BB topics of violence, narcos, Governmental corruption. It made me think of how maddeningly complex things are when humans are involved... Thanks for posting it. The water these people consume, returns in an untreated. There are oceans of brine water in the ground. This water can be purified, but with serious waste. Look to Israel, south Africa and australia for progressive water treatment in very dry climates. As far as the Colorado, it is milked by Vegas and Arizona farmers, including native Americans. Such a shame, but the people of Yuma, sonora and probably Chihuahua will one day have to leave this area of the world. Thank you Mx Watcher . I always appreciate your prescient comments.......and there is more there than meets the eye, also Valle de San Quintin and Vizcaino, which barely existed 10 years ago. If an area does not benefit the government little attention is paid to it. Yet self subsistence is the heart of the objectives of indigenous. Los Americanos do not help. To them the Colorado Rive is "theirs". They even lined it with concrete to lessen seepage. Yet cities like Havasu and Laughlin could have processing plants like the one Lake Tahoe has and return millions upon millions of gallons of water to the river yet they do not. This is insane. If the water simply flushed out into the golfo de California that's one thing, but to waste water by letting it seep into desert sand is a sign of amoral responsibility. California, Nevada, and Arizona know full well there is a crisis "on the other side".